One of my favorite classes to teach has always been my Twin Fiddle class. I remember getting the idea for the class while driving to West Virginia in the summer of 1998. I told Gail (as best I remember), “This will be a class where I can teach Gu’Achi tunes and Swedish tunes and American tunes that lend themselves to harmonizing. And the students can master a little chord knowledge and music theory to help them figure out harmonies for themselves.” We started the class within the next year, and it showed up in the Fiddle 4 rotation every year until a few years ago. This year I brought it back. As you will see at the end of this post, it was a great class. But the most memorable year for Twin Fiddle was 2010 when, within the span of the few weeks, we were visited by fabulous fiddlers from three countries – Mexico, Austria and Finland – plus a band from North Carolina. Osiris Caballero came by in May 2010. Besides teaching us a tune from his home state of Tamaulipas, he played a YouTube-worthy version of Cielto Lindo accompanied by our own Maria McCullough and Yahvi Pichardo. The Polka Chips from Finland and the Mostly Mountain Boys from North Carolina and Washington DC visited in June 2010 and did a special workshop for Fiddle Club and several Old Town School classes. This post reported on the workshop and the World Music Wednesday concert that followed. It also contains a recording and a video from Rudi Pietsch’s Fiddle Club meeting a few days earlier. Check these old posts out for some great twin fiddle music 4 years past. And it continues, as this years Fiddle IV Twin Fiddle class proves at an Old Town School graduation showcase. Many of us know tunes that came from the playing of Harvey “Pappy” Taylor of Effingham, Illinois. It’s a treat to see Pappy play. This is from 1984. Recorded by Lynn Garren at the Bluff Country Gathering in Lanesboro, Minnesota on May 17, 2008. Return to Bluff Country Gathering post and link to more recordings. Maria McCullough, a charter member of the Chicago chapter of the Fiddle Club of the World, represented the Fiddle Department on an exchange program that sent five Old Town School teachers and two administrators to Newcastle, England and Helsinki, Finland this past spring. Armed with a video camera and sound recorder, Maria digitally captured some fabulous folk music moments. You can visit the Old Town School Connect blog to read Maria’s comments and peruse some of the footage. I highly recommend the videos of the Rapper Sword Dance, performed in a pub in Newcastle, and the demonstration of the Jouhikko, an archaic bowed lyre now being taught to students at the in the Folk Music Department of the Sibelius Academy in Helsinki. The Sibelius Academy parallels the Old Town School in many ways, including offering ensemble classes dedicated to traditional folk music. 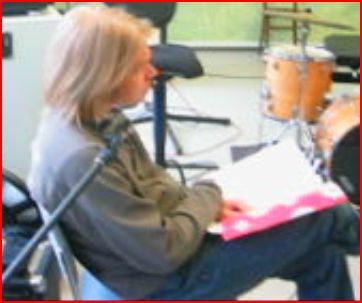 Maria got to participate in one such class taught by Olli Varis. A mandolinist and guitarist, Olli is a veteran of some of Finland’s best known professional folk music groups, including Koinurit, Värttinä and the Helsinki Mandoliners. Here’s a three-part tune taught by Olli. And here’s the ensemble class wailing away at the tune. The Old Town School’s Steve Levitt joins in on guitar on the right. What is the one major difference between this class in Helsinki and Old Time Ensemble at the Old Town School (I mean besides the fact that the students are reading music off the stands in front of them)? These Finnish students are receiving college credit for learning their old time music! 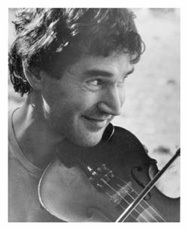 In fiddle classes at the Old Town School, we seldom get around to teaching tunes in the key of C. That’s a shame. There are so many good ones. Larry Warren, a gentleman I met on FIDDLE-L, posted a private page of sound clips of C tunes contributed from fellow FIDDLE-L subscribers. Here’s my contribution of a few gems (IMHO) that I don’t think made it to Larry’s page. I learned this nearly 30 years ago from Hector Phillips, of Petersburg, Indiana. I made this recording ten years ago for a FIDDLE-L compilation CD. Rhys Jones is on guitar. Hector Phillips can be seen and heard in “Tough, Pretty, or Smart: A Portrait of the Patoka Valley Boys,” a film by Dillon Bustin and Richard Kane. Even longer ago, I learned this one from Paul Gifford, who was then living in Ferndale, Michigan. He learned it from Merritt Olsen, from the nearby Detroit suburb of Birmingham. I heard Merritt play once–he also played a button box accordion–and greatly regret that I never went to visit him. Of course, at that time I could barely scratch out an identifiable tune. And this one I learned in 1979 from Donald Duff of Lizton, Indiana. He learned it from Mr. Harmon, an older local fiddler who helped Mr. Duff get started when he was a kid. Jimmie Campbell of Dolan, Indiana played the tune as well, and called it “Old Bob.” Same name, different tune from one Garry Harrison collected. Just so the record is straight, I am the fiddler on all these recordings. Any clunkers are mine and mine alone. 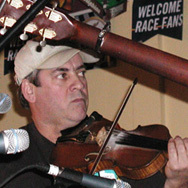 Enjoy the tunes, and maybe we can play one of two of them at the upcoming open session of the Fiddle Club on July 15. This mp3 is about 6 minutes long. Here’s an abridged mp3 (two times through the tune). Played by Frank Hall (fiddle), Lena Ullman (banjo) and Paul Tyler (guitar). Recorded October 2007 when Frank and Lena were visiting from Ireland. 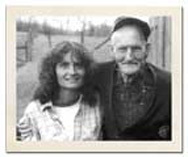 Frank, a long-time resident of Bloomington, Indiana, learned the tune from Lotus Dickey. Note the chord changes in the B part (Em & B7). And here’s an example of Lotus playing the tune in a medley with “Weller’s Reel” and “Green Fields of America,” recorded at the Indiana Fiddlers Gathering in 1982, with Dillon Bustin (guitar) and Linda Handelsman (hammered dulcimer). The Fiddlers Gathering (aka Battle Ground) is coming up the last weekend in June. The Tippecanoe Battlefield in Battle Ground, Indiana is a 2 1/2 hour drive from Chicago. The setting is a beautiful setting. The folks are friendly. The jam sessions are lively. Here’s a tune to whet your whistle. If all goes well, we’ll announce the initial meeting of the club at Trad Fest (Jan. 25-26, 2008).